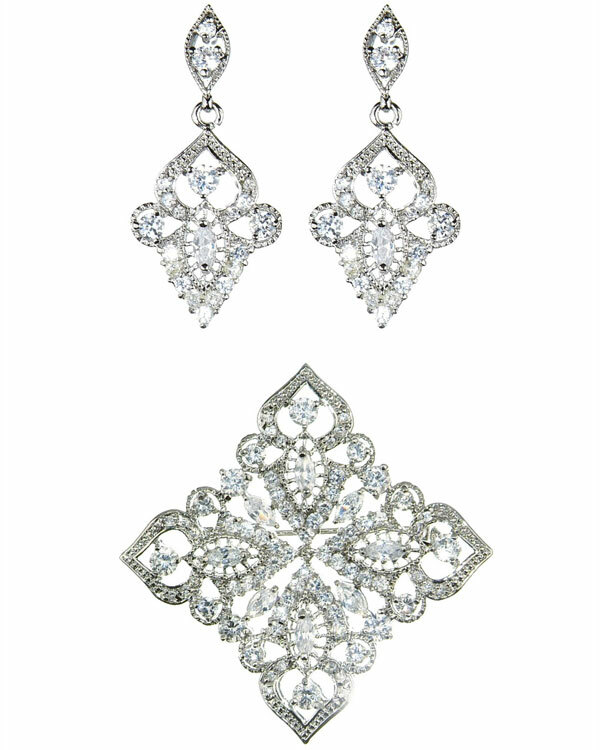 Taj Earrings. 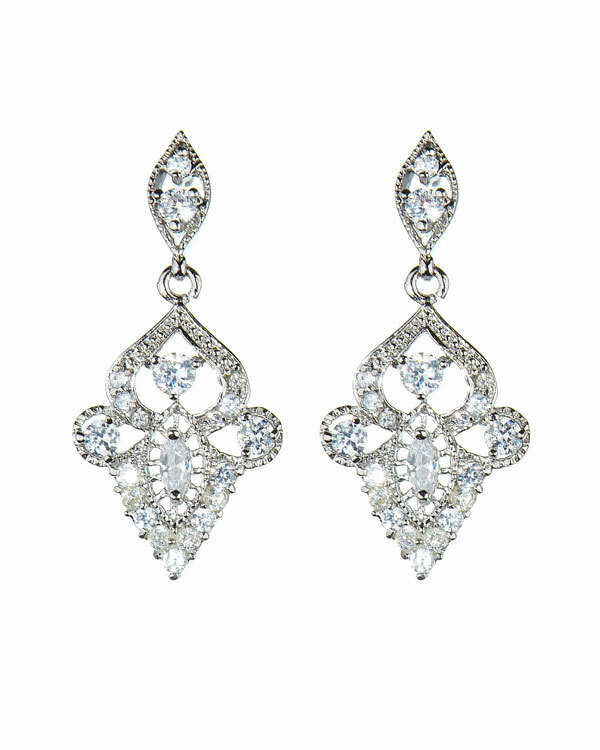 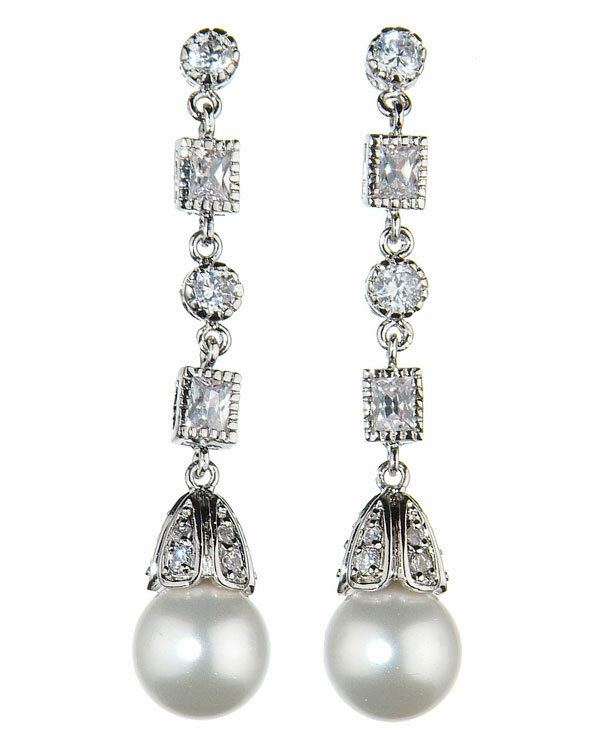 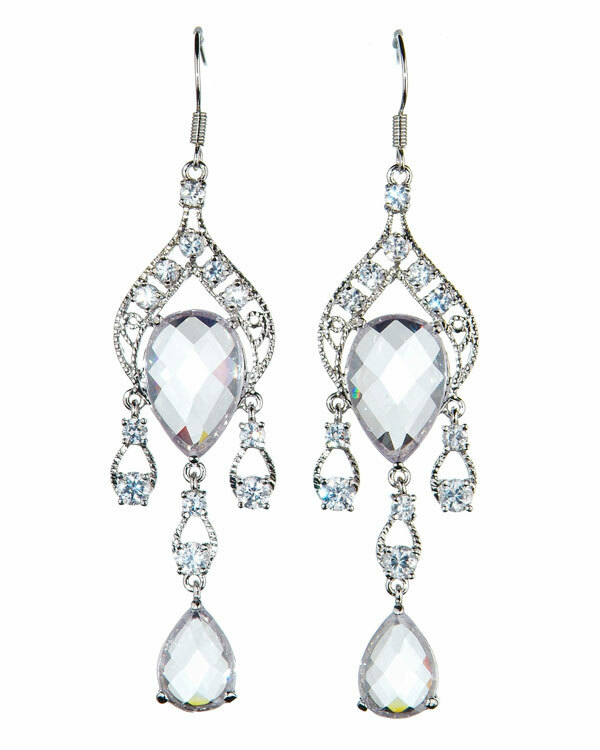 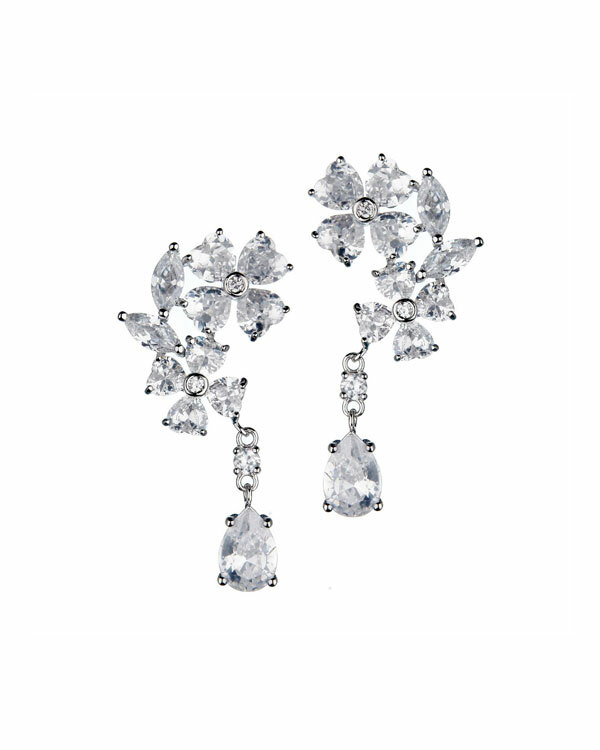 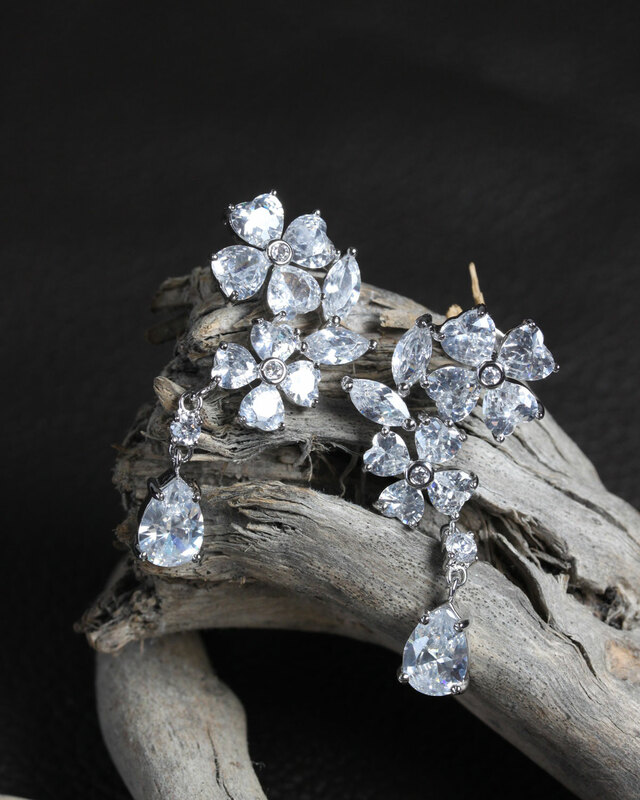 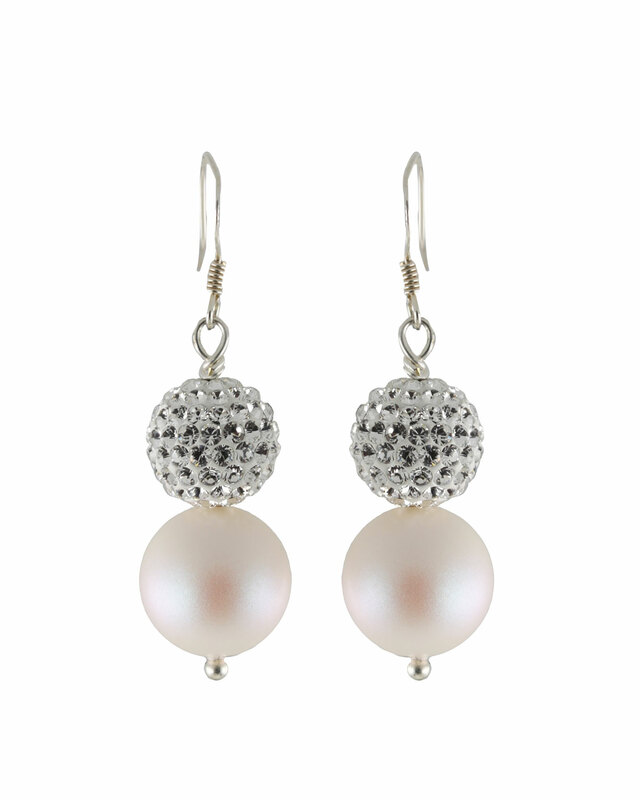 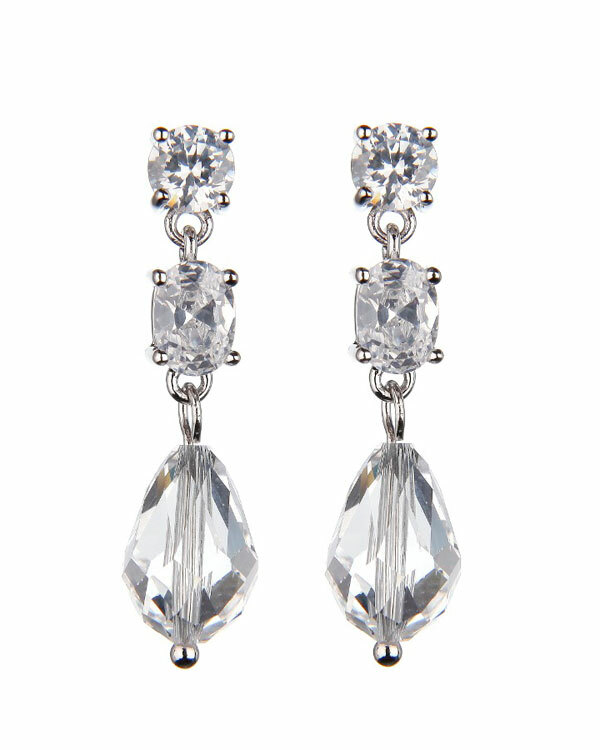 Decadent, vintage inspired earrings featuring clusters of cubic zirconia in teardrop and round cuts. 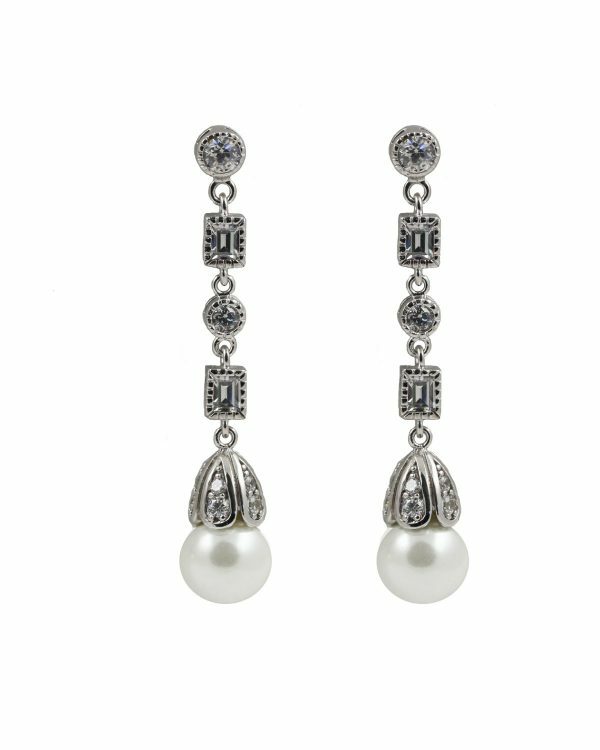 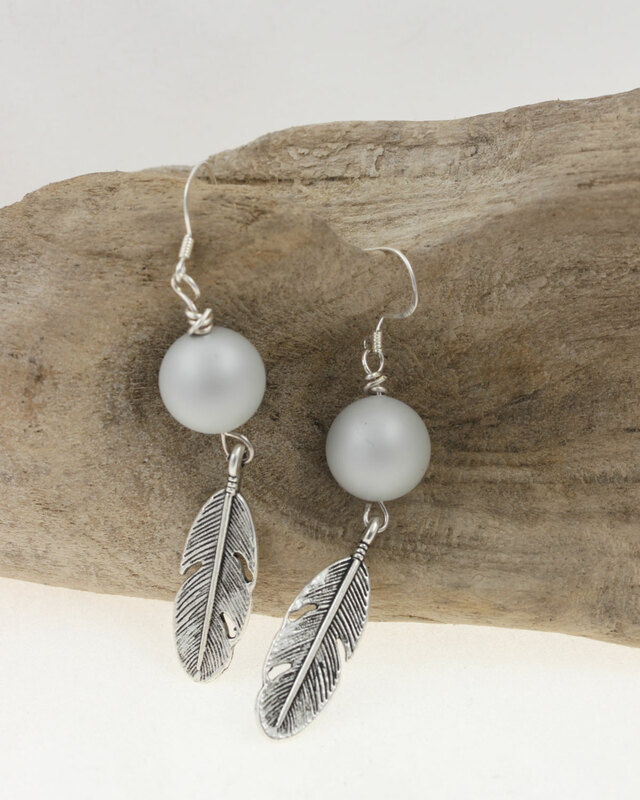 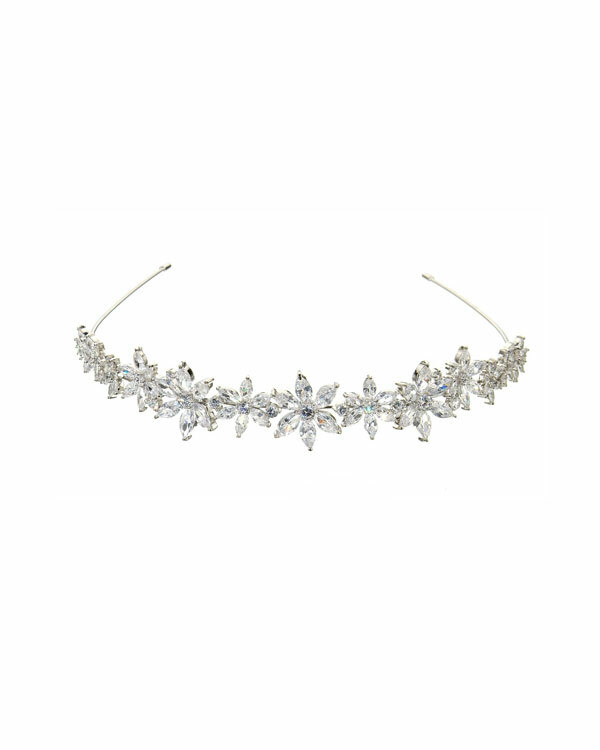 They feature a gorgeous intricate setting and measure 4.1cm from post and up to 2cm in width. 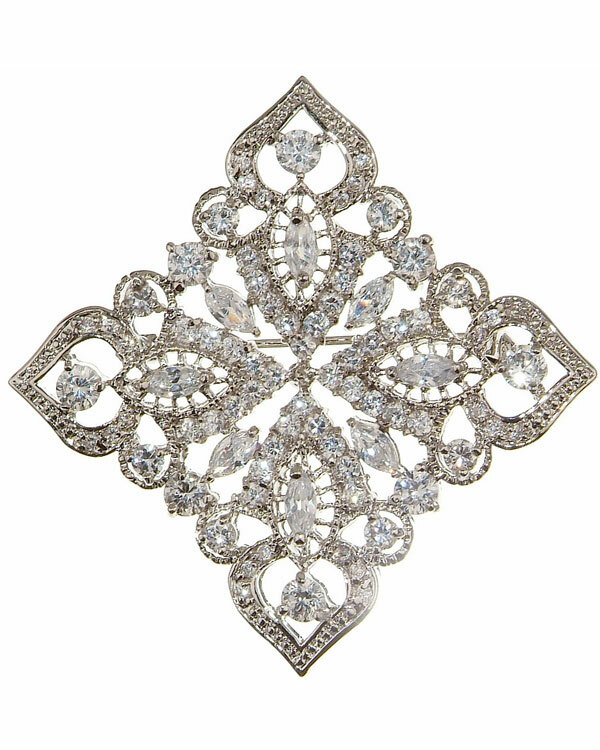 Matching brooch and hair comb also available.